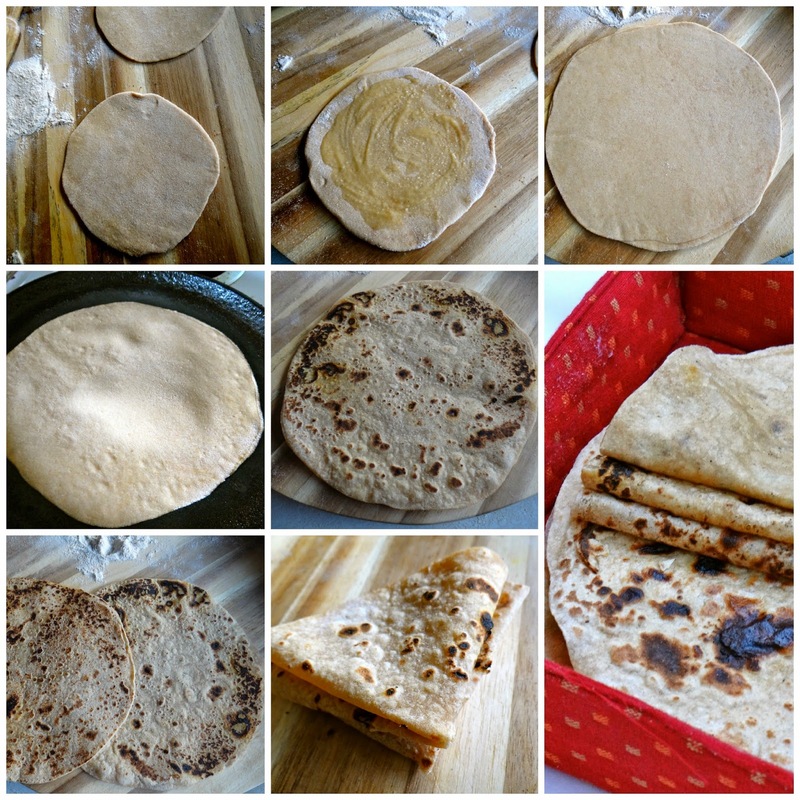 For a change for dinner instead of making the same old chapathi , I decided to make dosti roti. 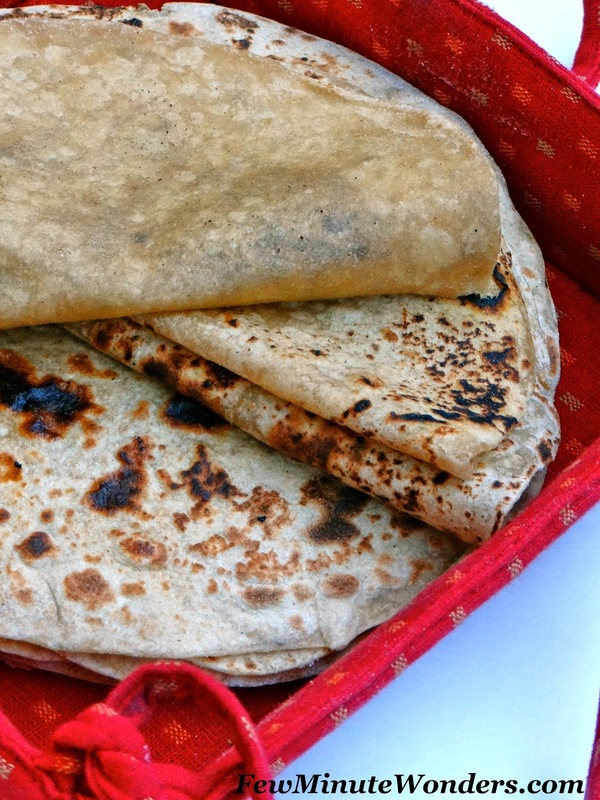 Dosti roti is made by rolling two portions of dough, stacking it one on top of the other with a thin layer of ghee in-between and rolling it out into a single roti. When the roti gets cooked on both sides it gets puffs up and roti can be easily pulled apart into two individual rotis that are super think. I found that it was best when eaten hot off the taw a with some delicious side dish. 1. Divide the dough into four equal parts. Divide each of this portion into two equal parts. 2. Roll out two portions into a 4 inch circle. Spread some ghee on one roti and place the other roti on top of it. Roll the dough into a 8 inch circle. 3. Heat the tawa and place the roti and cook evenly on both sides. 4. Remove from heat, separate the rotis into two equal parts, spreading some ghee keeps it moist and flavorful. Serve it hot with your favorite side dish.